I hope you are all having a fantastic day! I will be leaving today for our vacation and won't be able to stop by your blogs much until I return. I will have some access to the Internet but not sure how much time I will have. I do have some scheduled post while I am away for you but will be back in the swing of things in early October. Have a great weekend! 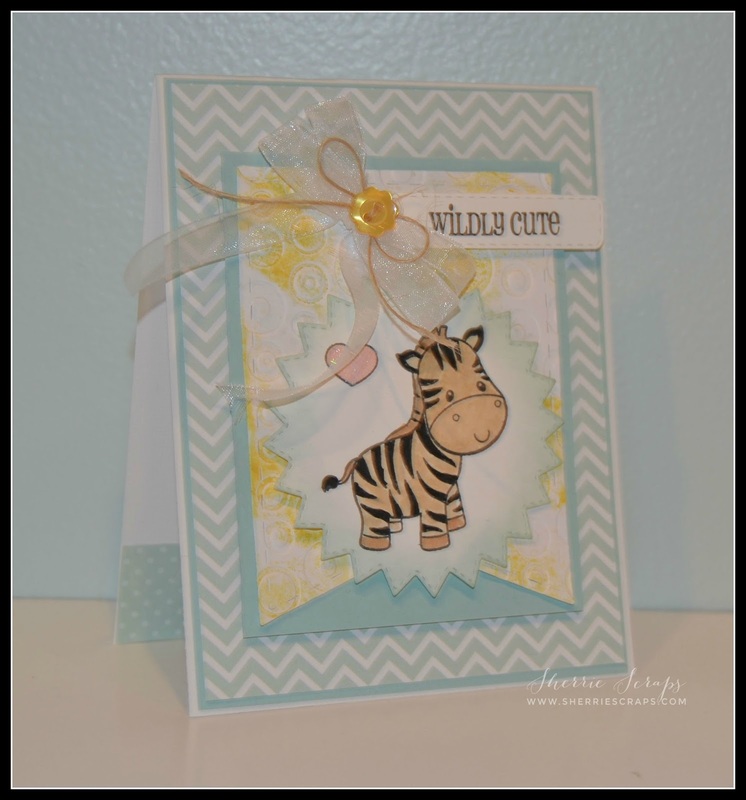 Today, I have a cute little card set using stamps and dies from Craftin Desert Divas. Oh my gosh, these sets are so darn cute I just couldn't pass them by. I have had them for a while and just haven't had the chance to use them~so glad I finally did? Do any of you buy something and set it aside and before you know it months have gone by OR you just have so much you don't know what to use first? Hope you like them and are inspired! 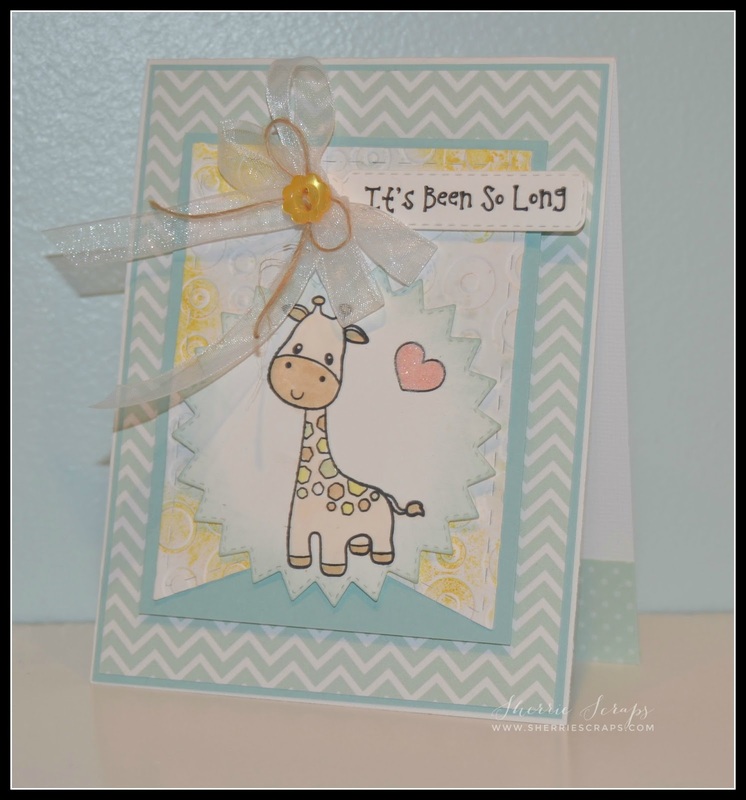 The solid card stock is from SU and the pattern papers are from Echo Park~Bundle of Joy Dots & Stripes. I cut a smaller mat to frame the banner. which is all popped with foam tape for dimension. The banners are Craftin Desert Divas~Banner Dies and are water colored with SU colors~tow of them in Sky Blue and Crushed Curry, the other two in Certainly celery and Crushed curry, then misted with water heat set to dry. I used My Creative Time's~Stitched Starburst Die to stamp the cute images on and colored them with copics and then a wink of stella. The sentiment is included in the stamp set. 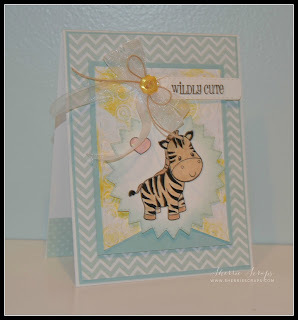 I stamped them onto labels using Jaded Blossoms~Mini Tag Dies and Mini Tag Dies 2. I finished with a pretty sheer double bow, twine and cute little button from SU in the center. These are such adorable cards! I love everything about them! Oh so DANG CUTE!!! I have all 4 of those stamps... they are my Fav's from CDD... super cute my friend! Have a great day! 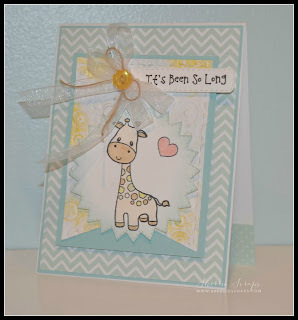 Very sweet cards, loving the baby theme! 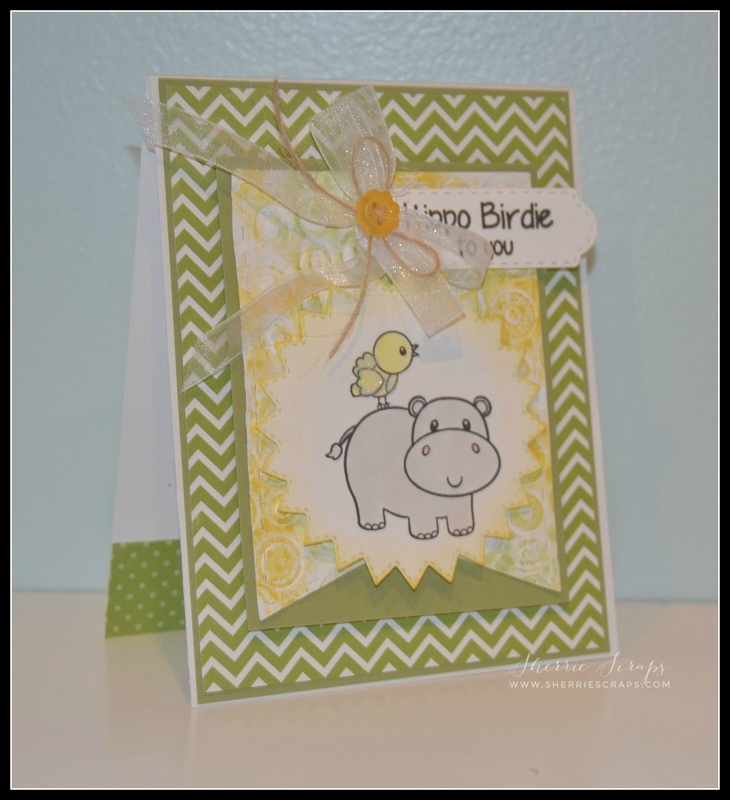 The chevron papers you used are awesome as well! Have a great vacation! These cards are all so cute!! I love them all!!! What a fabulous set!!! Have a wonderful vacation!! Too darn cute. They are all so cute. I will have to check these stamps out. 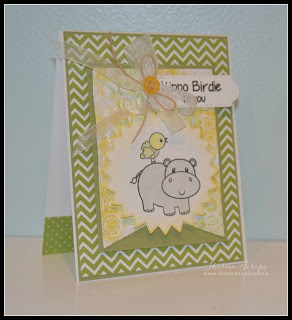 They sure do make cute baby cards. Have a safe and fun vacation. Cannot wait till I see you tonight!!!!! YAY!!!!!!!!!!!!!!!!!! These are ADORABLE! I loveeeeeeeee those little animals!!!!!!!!!!!!!!!!!! Omgosh, SO adorable! Love these! 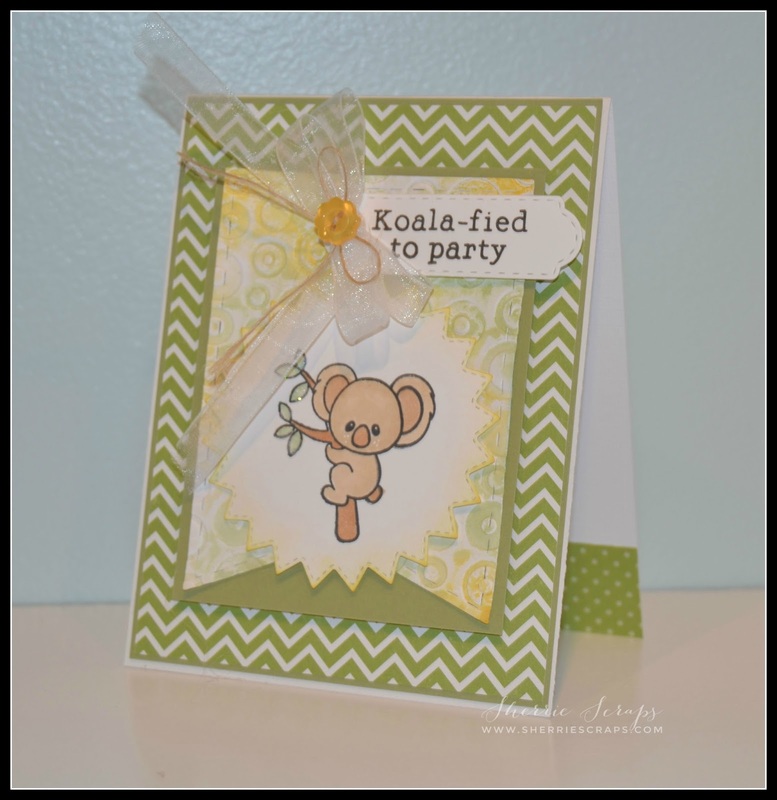 Such adorable cards my friend!! Enjoy your vacation!! Be safe! Hi Sherrie! Sorry I haven't stopped by in soooo long! Life with a job sure cuts into my blogging time and I have missed seeing what you are up to. These cards are so soft and sweet. 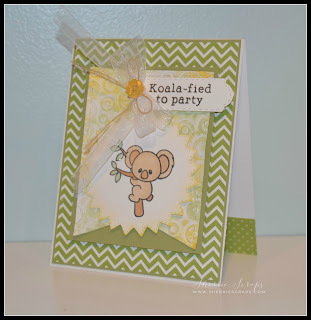 I love those darling little animals and the pretty papers you have used...absolutely adorable! Enjoy your vacation! Your cards are so fantastically adorable!! Those images are so sweet and the sentiments are all so wonderful with them! I'm very guilty of buying craft supplies and not using them right away. I just need more time!!! I hope you're having an AMAZING vacation!! Enjoy each and every minute!! Hello my friend!! I'm home from vacay, trying to get caught up!! I hope you had a wonderful vacation, too!! I'm overwhelmed at the moment trying to get laundry done and everything all caught up but I had to take a break and visit you!! I've missed you!! We ended up on Galveston Island, Texas and then drove around the gulf to New Orleans and then on to Destin, Florida. I didn't want to leave the beach! !